from Vermont Historical Society Director, Kevin Graffagnino. Bill Branthoover was recognized for Lifetime Achievement. He was one of 34 persons who founded the Montgomery Historical Society in 1974 around the cause of saving the former Episcopal Church, built in 1835. It was restored over the next 23 years and during this period Bill served in many leadership roles including over 10 years as President. Bill also researched and authored many documents, books and articles. Foremost of these is the book he co-authored with Sara Taylor titled, “Montgomery Vermont: The History of a Town”. The first edition was published in 1976 and an updated second edition was published in 1991. Bill was also the Society’s archivist for over 20 years. In that role he created accession records for over 500 artifacts donated to the Society for safe keeping and exhibit. Marijke Dollois was recognized for Individual Achievement for her work as Society Membership Chair, a position she’s served in for 20 years. Since 2003 her program increased membership by over 40% and membership and program revenues as well. The Society exceeded 200 memberships for the first time this year. The Society’s efforts to use the power of the internet were singled out with an award for excellence in Society Operations. 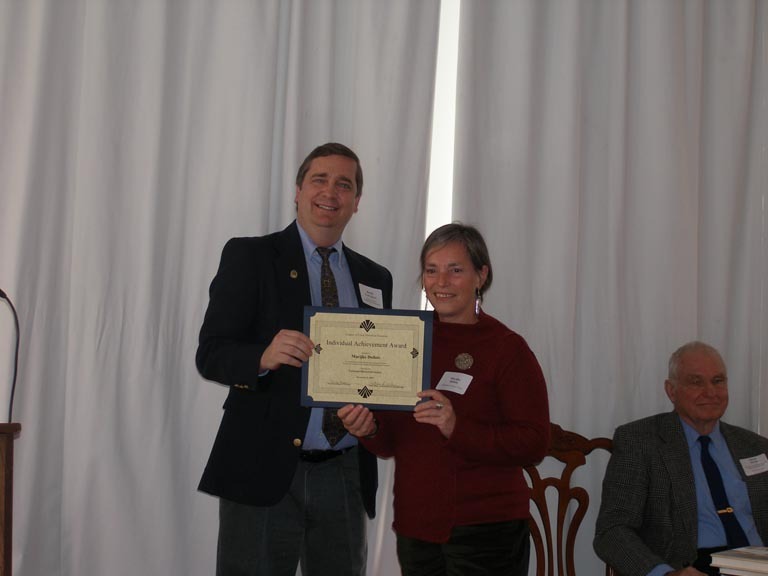 In this category the Society’s web site (www.montgomeryvt.us), electronic newsletter, and email outreach were all cited for improving communications with its membership and the community.